"Mixed but overall Zoho is a good choice for any SMM agency"
I do love the feature that you can add additional social profiles and team members for $10 each. Really helps with transparency with agency clients (this is one of the main reasons I use zoho social). I like the dashboard as it is simple and clear. I used to use hootsuite but feel this dashboard is more user friendly. I also like how you pay per BRAND, not social profiles. This is a great feature as this helps us organize our expenses as we don't need to constantly pay to add social profiles if a client has a new social profile they want to utilize. There are improvements needed to really be the number 1 choice on the market for a social media management platform. 2) Pinterest integration would be ideal also. As we often come across clients who use Pinterest meaning we have to use another platform. We are solving the problem of being able to schedule all the client's posts for the coming future. and allowing them to edit and see all posts that are coming up. Also this allows us to let the client see their "Brand health" so they can see how we are improving their soical profiles. "Easy to Use for a team"
We have tried many platforms before settling in with Zoho Social. Our team mostly comprises of youngsters who have not used Social Media tools like Hootsuite, Zoho Social etc. After trying many such tools, the team found Zoho Social the easiest to use. The interface is clean and easy to navigate. It comprises of relevant tools that makes scheduling and posting easy. It would be great to have an integration with youtube as well. At least to monitor and reply to comments etc. Would like some more features on the social listening front - maybe recommendations on articles or people who we should follow. I miss a few features of Post Planner in Zoho Social. It has saved us a lot of time. Personally, it has helped me to delegate the work to my team. The analytics are all in one place which has helped me plan the type of the posts better. It has inccreased the overall engagement on all my social profiles. We can now plan our posts in adavance. "A great platform to start your SM business management"
Zoho Social is one of the greatest SM platform I've ever used. It provides plenty of features that will truly help you and make your days go easy. The user interface es very nice, and Zoho offers one of the best customer supports in the market. Probably the feature of loading groups of posts is kind of unfriendly, but if the instructions are followed, anyone can do it. I recommend Zoho Social to all who are starting up their businesses of any level. Zoho Social is very suitable for micro and small businesses, as it works as a partner, doing all the "SM business" you have planned in a very neat way. It is a very trustable source for deploying your communications at any level. Then, as your business grows up, you can then delegate parts of the processes to other collaborators, whish is really great. Promoting and selling courses, conferences, training programs in general. "Has helped manage and understand Social Media interactions fantastically"
Zoho Social has helped me understand my Social Media interactions better, which gives me a clear picture of what is working and what is not. This helps me tweak and tune engagement strategies to get an optimized result. Love the schedule and broadcast posts to multiple platforms with super ease feature. This helps me create engaging posts those I can draft carefully (keeping my audiences in my mind) and thoughtfully beforehand (when I have enough time and not in a hurry) and schedule for it to broadcast in later dates and on multiple platforms at once. I really love these tools and would recommend anyone who would like to get the most out of Social Media Interactions (which is undeniable in today's scenario for a business or any of your cause to be successful). When I tried to post a scheduled post on multiple platforms, the post would not get posted in Instagram (due to display format or something like I've been told), and the post would skip that platform. But I guess that is more on Instagram Platform side rather than Zoho Social's part. This is the only bump I've come across up to now, let's see. When we constantly need to to engage with our audiences, it is not always possible with Real Time Posts, mainly the posts supporting our Marketing Strategies. We need time to think and carefully draft a post with all components like images, texts and what we have to say. Scheduling a post and publishing it on multiple platforms at once has really helped us with this. "Zoho Social can help to make your social media life much easier"
The Zoho Social platform does not require prior training and does not have an intense learning curve thanks to its interface and easy to understand and use work environment, with Zoho Social you can make payments for each brand instead of each social profile, to Unlike other similar applications, it allows automated publications, keyword filtering, conversation tracking and simultaneous multiple account management. The only disadvantage that I have found with the use of Zoho Social is that in the standard version the feature of the Publications Calendar is not available, it is only available in the next version, so if you only want to use this tool in Instead of the whole group of tools included in this package, a large part of the payment would be wasted. I recommend trying Zoho Social to manage the social media of your company, but particularly I think it is best to use this application in conjunction with Zoho CRM, since this software has several tools and functionalities that would complement Zoho Socially and optimize the management of sales activities, marketing and customer relations. Zoho Social is a comprehensive management tool that allowed us to manage our social media accounts and posts more efficiently. It greatly streamlines the process of logging in and writing posts. We don't have to submit posts one at a time. We can plan out our posts in advance by scheduling them for future publishing dates. This really helps to ensure that we have a consistent flow of content to engage our followers. "Unexpectedly my favorite social media management tool"
- Software is designed and organized well. - The app sometimes crashes upon Instagram notification, and often doesn't include attachments. Happens after reinstallation.There's a simple enough workaround keeping the photos handy in my photos app. If you're on the fence and need a better tool, and know you're not going to stick with what you're currently using, go ahead and try Zoho out. If you have a large enough budget to afford some of the competitors plans or are already subscribed, I would just stick with them. I do think Zoho gives them all a run for their money for what you pay and the quality of its tools and thoughtful design. It's so much easier to schedule content across platforms in a way that isn't maddening. I have used Hey Orca, Hootsuite, Sprout Social, Buffer, Gain, and more. Truth be told, I love Hey Orca equally, but it's just not as affordable as Zoho with a very similar design. I love the ability to make one post on many social platforms at once, especially Google My Business. Other platforms do not have that option. I love the reporting, monitoring and messages section of the software. With the app, you can post on the go. Get started today. It will save you time and money. It is my "One Stop Shop" when it comes to my social media. User-friendly and very effective! Does exactly what is promised. Zoho Social helps me to analyze and schedule my social media posts. I use to forget to post, or am too busy to do so. With Zoho Social, it's a one-stop shop. With Zoho Social, I can keep in contact with persons from all the social media sites. I can respond to messages without ever having to sign in on them. "Great for Small Businesses, not so great for Agencies (Expensive, Impractical Org, Lacks Features)"
Integrates with my Zoho CRM like magic! Being able to track leads that come in from social media has upped my Lead-Gen game by more than a few notches! Not great for Agencies. Only allows a single account of each type (Facebook, Instagram, etc) per Brand, and each Brand is extra. I have a restaurant franchising client who has 9 Facebook Pages, but it would be unfeasible for me to have that client pay 9x the price of every other client on my client list! There's also no client approval workflow which is key in my business. They also recently bumped up their pricing from $1000 per year to $2400 per year, and increase that changed my buying decision right as I was about to pay for the year. Now? PASS! If you're hoping Zoho Social will be a great tool for your Agency, pass for now... They are improving but aren't quite there yet. If you're hoping Zoho Social will be a great tool for marketing your business and tracking social media leads in your CRM, this is the app to use! Integrating social media into my CRM is key. Being able to work within Zoho where every app communicates with the rest of the platform means I'm not duplicating my work a dozen times over just to achieve the same result! "Zoho Social - Great Communication Management Platform!" Affordable solutions for social marketing reliability, stability, their platform works flawlessly and I've never had an issue with any downtime. Very stable and reliable ease of use. Zoho social has been a powerful and interesting tool that has allowed me to reach my goals and above all to achieve a better interaction with my clients in a fast, easy and simple way. With me, Zoho Social is great, and that's what I need for my daily work. I don't really have any dislikes. My work is quite flexible and often goes everywhere, the Zoho Social app on the phone is one of the great applications, I can post the latest articles to share to everyone. If you have never used it, I recommend you try the Zoho social experience. You can't find a better application than that at such a cost. Zoho Social helps me manage and schedule social network posts effectively. "Great scheduling and easy to use, but instagram reports could be better"
Great in many ways for a smaller budget. Roughly $40 a month for 5 users, including different permissions. · It has one inbox for Twitter and Facebook, which is the dream. · It also has unified notifications across all channels. This is customisable i.e. for example you can make sure you are notified of a comment and therefore need to respond but not for a retweet. · Scheduling is easy. I’ve not experienced any bugs yet and you can set recurring posts. Annoyingly you can’t edit images within it, but hey canva does a pretty decent job of that anyway. · Reports on Facebook and Twitter are good – easily digestible and you can create schedule custom reports. Instagram reports are rubbish. I’ve actually pulled the reports of Hootsuite for this. Which is frustrating because I was about to fall in love with it. Its saving me so much time :-) Always nice when you're social media team is very tiny. At Archer Energy Solutions, we really enjoy the reporting aspects of the tool. It is important for us to review this insight so we can build our social media marketing plans to increase our overall reach. Connecting our many social media outlets was very easy and it took less than an hour to configure everything. Although we understand the brand profile concept, it would be much better if we were able to add multiple social media accounts from a single social media outlet (e.g. 3 twitter accounts) under a single brand. In our case, we have a single Brand we are attempting to promote which is, Archer. However, we have several lines of business that are under this brand and this required us to have multiple accounts for some of social media outlets to properly address niche markets. For example, Archer Security Group is focused on physical and cyber security consulting whereas Archer Energy Solutions is focused on engineering consulting. Same brand...different accounts. Separating these into different brand profiles does not make sense to us. There are much more complicated social media management solutions out there; however, it is our belief that those tools are over engineered and get in the way of the core purpose. Keep it simple, clean and easy to administer - this is what Zoho Social has done. As mentioned above, we needed reliable reporting on our social media stats in a collective view. Zoho Social met that need with flying colors. We have gained a tremendous amount of insight as to our reach and it is helping us refine our social media activity to increase followers, shares, likes, etc. The need to improve our social media activity is vital to our growth and Zoho Social has become a key factor in achieving our goals. With the line of work I'm in it's hard to manage the budget for tools that aren't critical to business operations. Because of this I have to use their free tier for the time being. Which is great, but having the ability to schedule posts to go out when we are branding or something else that we can't get away from can be difficult, especially during calving season. If you want to save time dealing with your social media this is definitely the way to go. I haven't really had any issues whatsoever. The benefits are that it gives me the ability to make a post 1 time and it goes out to all my various social media platforms. This frees up more time to be able to focus on my business operations. Easy to use and set up Integrates very well with needed social media platforms (as much as the platform allows them too) Great way to collaborate with teammates and discuss posts/reviews/etc Pulls amazing stats/reporting that are easy to use and exportable Allows you to use other products of theirs and also integrate them( i.e. Additional CRM Tools) Smart Q is AWESOME as well, really helps you plan what times to post to reach your most interactive audience. Instagram does not integrate well - this is mostly due to Instagram and their limitations but Zoho should find a way to make the two systems work together better Zoho doesn't have Yelp - They should add Yelp so that you can monitor all your customer reviews and responses, not just for Google and Facebook. It's missing very useful tools that they have available in other platforms - i.e. Their CRM allows you to assign tasks based on Customers interactions with url links this would be AMAZING if their Social Media Management Platform had this. Zoho has instagram but inst makes it very hard to integrate a SM management system like this, Zoho does their best but the instagram integration is still messy - you need to download an app for it to forward you the post to copy. It's not very simple and needs to be reworked. I spend most of my posting time manually posting IG. Social media management/Preplanning posts are much easier and takes the strain off of remembering to post every day and separately on every SM platform. Reporting is great, gives you lots of insights on your market and audience interactions. Zoho even has a "Smart Q", which I mentioned before, that helps you choose a posting time throughout the upcoming 7 days and it will help you post when your most interactive audience tends to be online - great tool. "excelente zoho cambio mi vida"
Zoho Social es increíble! Excelentes funciones de servicio que se adaptan a lo que necesitamos y nos ayudan a mantenernos comprometidos con nuestra audiencia 👍 ¡Seguid así, chicos! Me gusta la inmersión suave en la plataforma y el diseño limpio, me gusta visualmente, no está abarrotada, y el hecho de que pensaran en mis necesidades de UX / UI, me gusta es fácil de planificar y fácil de seguir, y realmente me gusta bien integrado con mis necesidades. o mejor de Zoho es que publica automáticamente tus publicaciones en todas las plataformas de redes sociales. No tiene que preocuparse por ir a todas las plataformas y publicar o programar la misma publicación para diferentes plataformas individualmente. También me encanta la vista de calendario porque puedo ver fácilmente todo lo que está programado para el próximo mes. Zoho Social is amazing! Great service features that are suited to what we need and helps keep us engaged with our audience 👍 Keep it up, you guys! Better price range compared to Hootsuite. We are trying to accommodate multiple brands under our management and Zoho provides a way better offer for the plan we need. It has all the features that our previous management platform and so with the price range, definitely getting more band for the buck. Helps our team manage our social media accounts in one place. We use it not only to promote the business but also create engagement in the industry we are in. Straightforward features and interface, very easy to navigate and get yourself busy fast! "Let's meet 2 socialize in Zoho!" Although we're just a small (but fierce) digital agency we recommend this solution to ANY company regardless the size, that takes social media seriously. The professionalism and the quality of IQ and work involved in building this are only matched by their CRM platform - which needs no introduction anymore. You can see that they KNOW their business. And they're happy to share it with you. Hats off! Basically all that pertain to SM publishing and monitoring plus LEAD management which I think is an asset - and that for sure their CRM legacy and expertise involved. That's much more to discover for a Social Media Manager if he /she takes the pathway - BECAUSE IT'S SIMPLY BETTER. Thanks for sharing your review on Zoho Social. I'm happy to inform you that we have added Video Support in Zoho Social—You can now upload videos to your Twitter Profile, Facebook Page, Google+ Profile and Google+ Page. Simple interface that still provides a lot of information and keeps you connected with your social channels. It hits that sweetspot between too much and too little. Not much. We'd love to see more fine grain schedule options for longtail content. 2nd monday of every month etc. You may want to combine it with other tools like UberSuggest to help determine keywords, track funnel performance, or target trending topics. If you are trying to automate the promotion of good content and connect with real interests Zoho Social is a great tool. It's the best tool we've used for staying connected to customers on social media channels. We produce a lot of useful content, but maintaining and promoting it takes a lot of time. Zoho Social helps us automate that part, so we can focus on delivering useful information to our users. "Great tool for the maximum use of social networks. " What I like most about Zoho Social is the possibility of being able to manage all the social networks in a single panel in order to monitor and control at the same time the interaction of our department with other internal and / or external factors which makes it more efficient our work within the institution, additionally it can be said that it is very interactive and easy to understand at a fairly moderate cost. In our case, Zoho Social is a little known application that does not make the most of its virtues, on the other hand, it depends on a good internet connection and if you do not have it, it is not possible to use the application efficiently, finally I must say that for some people it is a bit cumbersome to learn to use it when not familiar with it. Due to its characteristics, it is highly recommended to people or companies that have a great activity in social networks, and that depend on them for the good performance of their brand, since it allows them to effectively manage their management, thus monitoring their influence within networks. Zoho Social has made it possible to streamline the process of sharing publications of public interest in our work environment, in all the social networks related to the institution, which speeds up the possibility of getting the information to more people in the same in an effective and efficient way. "Best Social Media Scheduling Tool I've Used"
The best thing about Zoho is that it automatically publishes your posts to every social media platform. You don't have to worry about going to every platform and posting or scheduling the same post for different platforms individually. I also love the calendar view because I can easily see everything that is scheduled out for the next month. The "free" edition is a little misleading. When I signed up for the free edition, they put me in the professional trial, so I was under the impression for a couple of days that everything that was available to me through Zoho was a part of the free edition, but really they were letting me use their standard version as a part of the professional trial, even though I never signed up for the professional trial. If you're a visual person, definitely utilize the calendar view for scheduled posts. It's so much easier to see than a list of them. Zoho Social has made scheduling posts much easier and has helped us organize our social media marketing strategies. Before, it was hard to keep track of what I had posted or what still needed to be scheduled, but now it's all in one place. not sure, i mostly use for ig but haven't tried enough features to know if anything doesn't work for me. It works perfectly for what i use it for. As far as Ig, the only thing i would love to see is the ability to post a first comment while scheduling a post. try it for sure, you'll either like it or love it! it's helped my posting consistency on IG tremendously. I wouldn't always be available to post when i got the notifications so being able to set up my posts in advance and still being able to put hashtags in the caption is a plus, although i prefer to put them in the comment section. "BEST SOCIAL MEDIA PLATFORM ON THE NET"
Zoho Social came with a lot of features that several other platforms we tried did not have at the time when we started using it. The user interface is super friendly, and we like the fact that the Zoho team is continually making updates to the platform which keeps us from going anywhere else. Current our major issue, if it's an issue is that some content can't be posted to all the platforms based on either the size limitation and the aspect ration/dimension. Eg. In Zoho twitter has a 3mb limitation for images which on the platform itself doesn't exist. We also believe in the Report section more data can be garnered for Instagram and Twitter at the moment the data is limited. It's one of the Best social media management on the internet and by comparison as a Social Media Manager who has reviewed and tried several other platforms. "One of the Best SMM platform ever"
I had been looking for a way to schedule instagram posts so that I won't have to be around all the time and Zoho Social does it all. Not just all, but does it really well. I love the scheduling feature. Nothing so far. I've been using Zoho social for a couple of months now and I love everything about it. It is one of the greatest tools I've used. Previously I tried buffer, but that's not even a match. I think the scheduling features here at Zoho Social are much better and accurate. I love this product and I think you'll love this too. Plus the new Zoho Social has a lot more to offer which will definitely help you achieve more. Scheduling is the one feature that I use most and love. Having everything scheduled already and not worrying about missing your target audience is great. "Maravillosa herramienta CRM y gestión empresarial"
Zoho Social es Una fascinante e increible aplicacion para la gestión de tus procesos empresariales para la gestión de clientes, (CRM) posicionamiento de marca y alcance de objetivos corporativos. Recomiendo Zoho al 100%, ya que me ha permitido alcanzar mejores resultados con menos costos, su integración con diferentes aplicaciones como SETMORE que es una aplicación para agendamiento de citas es espectacular, permite enlazar con correo de gmail, cuenta con estadísticas muy detalladas para que sea más amigable y eficiente la toma de decisiones corporativas a la hora de lanzar nuevas campañas publicitarias. En mi compañía todos estamos familiarizados con la plataforma, su configuración es muy amigable, rápida y eficiente, se puede decir que te enlaza o desconecta de las redes en tiempo real. Zoho te permite crear diferentes roles y niveles de autorizaciones para los colaboradores y tu equipo de trabajo. La gestión de varias marcas en una misma aplicación es sin duda una de las más importantes ventajas que tiene zoho sobre aplicaciones de su tipo, sus precios son competitivos. He visto herramientas parecidas, no definitivamente solo encuentro en Zoho el complemento perfecto para llevar mi marca y empresa a un nivel superior. Zoho esta optimizando mi tiempo, ya que ahora no publico en cada red social, sino que lo hago una sola vez y zoho lo publica en todas las redes sociales ligadas. "We absolutely love this platform! " It makes think soooo much easier for our small nonprofit to stay updated and let our follower know whats happening. The Calendar is the best part for us as being scheduled and having times that posts are consistent are important for any business. I dislike that the instagram option sometimes has difficulty posting- It would be nice if the images we download into Zoho would have an edit option all in one platform where we could edit the photos into square formats so this would not happen. So far no business problems other than that communication is not as fast as I would like with the marketing professionals. The benefits with this program I have directly seen through our insights on Zoho as well as on our individual social media sites. Zoho Social did everything they said they would--and it was easy! I have avoided using automation because I oftentimes want to write one post and get the word out to all my social media channels. What's even better is that I can schedule the same post to repeat weekly, monthly--whenever I want! I don't think there was anything I didn't like about using this excellent social media scheduler. I really enjoy using Zoho Social. I can schedule all my social media promotional posts for a week or a month! I'm excited to implement more and more as I begin promoting new books. I realized that I can schedule my posts and just worry about interactions--and I can even watch how well my posts are doing! Zoho has more potential--I have barely scratched the surface. "A Simple and Effective Tool for Social Media Management"
I feel like the core of the Zoho Social machine is simplicity. I love that I can see how all of my brand's social media are doing right from the home screen. The metrics are not overly confusing. I see about five charts and have a solid idea of how all of my accounts are doing, both individually and all together. I absolutely love using Zoho to schedule posts and have since stopped posting to social media sites directly. I'm confident that I will continue to use Zoho even and especially once my brand manages to reach a larger audience. There is not much to say about features that I don't like, however I do wish that it were possible to add more. team members to a single brand on the standard version. For all of my other needs, the standard version of Zoho works wonderfully, but it would be great even to be able to add more than just two team members. We are using Zoho to improve upon and manage our social media marketing. So far it has allowed us to get a fuller picture of how post timing and content affect engagement. With the help of Zoho, we are slowly but surely growing our brand and gaining a better understanding of social media marketing. "Perfect solution for marketing managers in social networks. " Zoho Social is an easy-to-use social media and analysis platform with enough intelligent publishing and information functions to satisfy social media or brand managers looking for simple metrics and a simple UX. If you are already a Zoho CRM customer, you do not have to think. Automatic programming Activity registration Massive programming Keyword tracking Brainstorming Multichannel marketing of social networks. I'm still benefiting, I'm enjoying the organization and the interface. It facilitates scanning and monitoring. I love the publication calendar with the drag and drop function. The monitoring configuration is really nice and easy. I like network filtering for scheduled, published publications, etc. The reports are very detailed, which is really good, and the fact that they can be shared or programmed is even better. I have not found anything yet, if I find something, I will inform you. It works well, it's great. That's all folks. The time that saves me every day is tremendous. I wish I had found Zoho years ago! We have used social zoho for the past two years and we love the software. Facilitates the management of social networks. My management time has been reduced by almost 80%. Fantastic software Zoho makes it easy and the benefits are clear. I will definitely recommend Zoho. It has helped us to be more efficient with our time and more productive during the rest of the month. It has become a social task at the beginning of each month, but we love it. I can also follow up from the Zoho control panel. My team can get approval before publications and sent to our pages, which helps stop errors in place. I have started using Zoho Social to manage all my social networks for a year. It allows me to quickly configure and schedule publications in my main social channels: Facebook, LinkedIn and Twitter. Zoho Social occupies the first place in the automation of tweets. I love how I can edit a post and the changes are scheduled forward. The Programmer is easy to use. In fact, as a user, I find this much easier. Low cost. As a Zoho customer for a long time, they have maintained my loyalty by listening to me and their customers and constantly improving their products, including this one. I love being able to control multiple accounts in one place! I can also schedule repetitive publications that help me be more efficient. I have never had a problem with this tool and I hope it remains that way. I recommend Zoho Social for all those who need to administer their social networks and thus have total control of their publications. It's great to have to use just one application to manage and update all my social media accounts. The analytical and social reports are amazing to keep up on the preferences and active times of your audience. It is especially easy to use and the site provides many helpful views if necessary. The programming of social networks can take a long time and it is wonderful to have a tool at hand that allows us to automate. "Amazing for the solo freelancer!``"
It offers an incredible freemium plan and other amazing tools to help those just starting out and without much money to spare. And then it has a variety of subscription plans for teams and people who have larger projects. The notebook is only available online and some of the features can be a little spendy if you are broke and not able to afford the subscription. I am promoting my personal brand AlishaDawnCreations and considering that I am a stay at home, disabled mother I really do not have money to spare and this program has helped me automate process for free that would otherwise be to overwhelming. - Ability to schedule posts. This is very useful for those with social media managers. - Messages from LinkedIn are not integrated. Only FB and Twitter messages are shown. - No image dimension guide to optimize look of images across all 5 social media accounts. Be sure to activate your Instagram profile as Business Profile before authenticating with Instagram for less hassle. You also need to check the LinkedIn messages yourself as the inbox is not integrated with Zoho Social. You also don't need to create a separate LinkedIn page as posts are also placed in your personal profile. Zoho Social is the best at one very crucial thing: managing the social media world. Any public figure knows how challenging this is. Zoho Social just solved this for humanity. "Zoho Social Free Plan Review"
I like that I am able to manage all of my social media platform under one platform even on the Free Plan. The only limitation I dislike about the Free Plan is that it doesn't allow post scheduling. If they can allow scheduling for say at most one week of posts in the Free Plan.. that would totally be awesome. It's not a deal breaker though, can always schedule posts in a spreadsheet and just login every day to post.. It's just a few minutes work. And, of course, post scheduling is available in the paid plans. If you have more than three social media platforms and not worried about scheduling posts, then Zoho Social Free Plan is the best. However, if scheduling is highly important, then all you need to do is upgrade. Saves me time. I can now post to all my social media accounts with a single click. I don't have to login to all of them. "The best application to organize applications"
I really like this app because it helps me to organize myself, and it saves me work. I get hooked from a company where you have to be setting up new offers and with just one link it helps me to share posts on social networks in one single time, the information desired to be transmitted. It also consists of a calendar that organizes me in detail each publication and content with images, notes and more. "Great Experience during the Introductory Phase"
Zoho Social has been very convenient and has saved our company a lot of time and money by forecasting social strategies, scheduling content, and reviewing analytics. I like that it has a solid mobile application that one can utilize when unable to get to a desktop. So far the experience has been very good. We wish there was a better monthly calendar to view and plan content to schedule out 2-3 months worth of content. For example, we like to keep our content fresh & new by creating stories around hockey, beer, and St. Louis. A bird's eye view would help us more effectively and Zoho social doesn't currently have the resources just yet to do so. We also haven't used the social media tools to handle engagement as that has been done specifically on each platform. We look to trial that over the next 30 days. Great tool to trial for 30 days. We've liked it so much that I'm considering signing up but need another 30 days to make that decision. We're just now starting to elevate our marketing department within Center Ice Brewery and we've found that Zoho Social has been able to provide us the necessary tools to achieve an increase in likes, comments, followers, and engagement. A solution from where I can manage all the social channel from one place without wasting time. managing all social media, responding customers, as well as vendors, are getting very difficult for me at the same time but when I heard about Zoho social, I used it and I can say it really helped a lot. I can now schedule my post & campaigns on all social media platform with just one click. most important point in business nowadays are how you are managing your campaigns and what you are presenting to the customer. for this, you need a huge number of customer or u can say fan following. and managing all the social channels was the great challenge. from Zoho, I can monitor all the details. "Finally! Something straight to the point...."
I like that I can manage multiple brands from one interface, and access the most important networks. Also, for the price you cannot beat the functionality (including the number of team members). The app is also MUCH BETTER than what's offered by the competitors (Hands Down). The face that as of now, you cannot post video posts from the app. Most companies offer a trial period, so I would suggest taking a test drive to see what fits you the best. In my opinion, Zoho Social is a great product for the price and functionality, and is one of the easiest programs to use. Also, it integrates with all the other products offered by Zoho, which we use, and they are also very cost effective with tons of functionality. So this program can extend to make your overall business software suite more robust. The ability to manage multiple networks and the ease of creating reports for each network; as well as the overall brand. "Managing my social networks without wasting time." Is a fairly complete application where I can manage all my social networks in one place, being able to read all the notifications or messages people without wasting time as well as make comments and be able to publish in the different networks that I own. I really have not found disadvantages, for me to have an application that fits my needs is priceless, it is quick to enter so you do not waste time entering, has an explicit desk where each of the functions is detailed. can be done, as well as keep track of all publications made. simplifies the work can manage social networks quickly and at the same time keep them up to date, allowing to be in contact at all times without restrictions, can be applied to the personal computer as well as mobile equipment which makes it ideal for people who are not always in the office so there is no excuse for not responding to the various notifications that are received is light does not affect at all the free operation of my equipment. Allows me to respond timely to any message received, the application sends notifications every time a contact wants to contact me what I find pleasant without having to download all social networks on my computer which previously made it slow to have so many applications in use , with Zoho Social I can handle them from one place. "Powerful social media management with some UI quirks"
Now that I've used Zoho Social's social media calendar integrated into the Chrome extension popup/overlay, I'm going to have to have it everywhere. Buffer, for instance, which I've used for years, doesn't have this feature and its Chrome extension looks outdated in comparison to Zoho Social's. In general, Zoho Social is a powerful manager for social media publishing with the usual features of draft posts, scheduling, and analytics. I also appreciate the live stream of mentions and retweets in the dashboard although the notifications badge seems to partially duplicate this information for no apparent reason. I do like being able to instantly act on a retweet or mention (reply, follow, find out more info) just bey clicking on it in the live stream. Handling multiple brands is a breeze. I do have to say there are are interface quirks and in general the UI can be a bit confusing. As I mentioned above, the live stream and notifications badge/menu provide duplicate information, although the live stream doesn't seem to retain a history as the notifications popup does. Confusing. SEMrush's calendar is better implemented and more powerful than Zoho Social's and its Chrome extension is more powerful as well. I had some trouble getting media to show up in a tweet when using the Chrome extension. Make sure you try out competitors before upgrading to a pro account. You may not need it and you may find a more suitable solution. Managing so many social media accounts for any particular brand is a chore without a dedicated software solution. Zoho Social is a solid offering and makes most tasks easy. It's not my favorite, however. "A great Social Media Management tool"
It is easy to use and very efficient. The setup is very simple and it is easy to access. It helps to add so many social media accounts which saves time and effort. Highly recommended. One of the best features is the smart queue which suggests you the best time to post your content for maximum engagement. As of now, I did not find any issues with Zoho. Although it would be great if you can add an option to customize the text for each network. Zoho social is highly recommended. it allows you to add all your social profiles at one place which saves your time and effort. It helps me to schedule posts for all my social media accounts at one place which saves a lot of time. Earlier, I used many other tools but they did not allow to add all my social media accounts. Zoho helps me to keep my social media updated and also helps to engage with my followers very easily. I have realized that with Zoho my posts are streamlined. I just have to write one post and Zoho helps to go live on all my accounts at once. First of all, it is very easy to use. The tool is very intuitive and super simple. The setup for social channels is just one click and all set. For me, my favorite two features are: schedule for my posts and the great one, SmartQ. Equally important, this last one can show me what day is the best day to my audience interact with my post. More than that, this tool, can tell me what time is the best. I did love that. Last but not least, I don't need to use any app on my phone to confirm the post before they go run. Well, something that I didn't like was that I had a couple times an issue to publish on my Instagram account. However, it wasn't a big deal because it only happened, as I said, one or two times I guess. Likewise, I could handle this with just one click reposting on Instagram again. Well, if you are look for a easy too to schedule your posts with multiple social network. I do recommend Zoho Social. It is simples, a fair price and above all, you can try out without give your credit card numbers. I'm using Zoho Social to connect as many people as I can to my business. I can create one post for all my social network at once. I don't waste my time posting one by one. I just setup, create, schedule and done! "Zoho Social: SMM Platform of Choice"
We use Zoho Social as our platform of choice for social media syndication due to its comprehensiveness - you can post, monitor, assign tasks, and more - and ease of use. It takes very little time to create a schedule of content across a range of networks, including Twitter, LinkedIn, Facebook, Instagram, and Google My Business. Also, we use the free version, which offers nearly every feature we need. Unless you pay for the Professional level, you can't use the Calendar, which is really it's only drawback we've found. If you need a comprehensive platform, this should fit the bill. However, as with other Zoho products, there are a lot of moving parts. It provides a one-stop shop for pretty much everything we need to conduct social media marketing, research, and brand/industry monitoring. "The best social media platform for managing content across channels"
The best thing about Zoho Social is how quick it is, by that i mean when a customer messages me on my facebook page zoho know's about it before i get an alert from Facebook! That's fantastic as it means I won't miss out on any business and my clients aren't left waiting. Reconnecting the LinkedIn Page to my social channels is frustrating but i believe that is down to LinkedIn and not Zoho as it doesn't happen anywhere else. Tagging people becomes difficult on the mobile app. It allows me to schedule posts, manage my content and set everything up for the week so i dont need to think about it. This is part of the paid features. Even the free one lets you post to all the channels, just not scheduling. "Good quality with favorable price"
What I like most is the display of all social channels' updates in one page, which makes it easier for me to keep track of the posts as well as each channels' status. Not to mention scheduling a post is simple and easy, the overall design is also simple to work with. Zoho can post directly to Instagram - not all scheduling tools are allowed to do that, a big plus for this app. - One time I schedule a post and can not edit it - which raises my doubt about its stability. If you want a fine tool at an acceptable price, Zoho is a good choice. The overall design is simple yet effective to work with and the quality of the images - which will get published on social channels will be preserved. One notable feature of this app is that it can post directly to Instagram (try looking into other products and you will find out how rare it is for an app to be allowed to post directly to Instagram, most apps requires the reminders, not direct post). - Managing multiple social channels takes a lot of time - I have to schedule same posts in different channels in several time, not to mention most of channels do not accept scheduling. 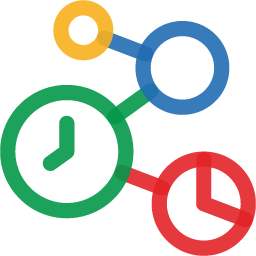 A scheduling tool like Zoho saves me a lot of time. "A lot of really great features, there are improvements needed, which a few companies will want/need "
1) The online interface while nice, is a little hard to navigate at times. It is easy enough as an agency to navigate, but I haven't tested it with a client yet for this reason. 2) No visual feed planner. Its easy enough to do on your own with InDesign, but if your clients are posting additionally on their own at all, it creates extra unneeded work for the agency. 3) Need to be able to post video (even if its manually). 4) Needs access to CRM (shows most engaged users & keeps track of their interested content) on the app. 5) Be able to tag shoppable content. Evaluate what you need out of a social mmgt platform. The analytics and reporting and ROI for investment is some of the best I've seen. But if your client is wanting to proof, see how everything looks before posting, this may create some additional trials which you will need to solve workarounds for. Also, instagram only allows you to post 1 image automatically for any app (as of Aug 2018, if a company is saying they can do a carousel or a video, etc its because they are using an AI to log in as you to post, or they have someone physically doing this for you on a phone overseas). But with this software, you cannot schedule videos to post manually, but you can do carousels (fb only). The app is okay, but could use a few more features. The publishing calendar is my favorite - you can see everything in one place and easily reschedule with drag & drop. The tool handles almost all of the platforms I want to use (except Pinterest). It has some nice snapshot reports so you can see at a glance what's working and what's not. A bit pricey for a solo business like me but since it handles so much, I can justify the cost. Other than that, I haven't run into anything to dislike yet. As with all tools, sign up for a free trial and test it out. It's the only way to see if it will really do what you want and fit with your working style. Lets me take care of almost all my social activities in one place. Relieves the pressure of worrying that I'm forgetting something. I have loved Zoho Social from the start. I love that I am able to schedule posts amongst most of my platforms simultaneously. I appreciate the trial, as other websites have a limited, or non-existent trial. I also appreciate the number of social media accounts I am able to utilize. I would definitely give Zoho a shot, I have gained new business with their help. In 2012 I started a blog and Zoho Social has helped me gain the confidence to share it on all platforms. Zoho makes this process smooth for me and saves me a significant amount of time. This is definitely something I will continue to use. With Zoho in place, I have been consistently posting on all platforms and gaining more followers. I appreciate it. "Falls short of its potential"
Price. Was previously using Sprout Social and saved approx. 50% on the cost. Reliability. Messages often don't make it to the inbox or if they do are significantly delayed (e.g. 3-4 hours after the event). Mobile app. If someone comments on a post, you can't reply to the comment through the mobile app you can only reply to the original post. To reply to someone's comment you have to use the desktop version. Useful for scheduling posts but if your business is reliant on social media activity and reactivity then this is not the solution. Aggregating social media activity. Enabling social post scheduling. The main benefit that I have noticed has, unfortunately, been the cost. As a product Sprout Social was superior in almost every way (to varying degrees) but for the volume of SM traffic, not a sustainable cost. Very easy to use, intuitive and efficient! I really like the fact that set up was simple and the software walked me through the entire process. Another positive characteristic was the ability to add others to their respective roles. A little pricey, but so far seems to be worth it. I am hoping that more social media platforms will be added in the future.If there was a way to edit an image in Instagram, that would be very useful. Pictures often come from multiple sources and are of different sizes. An image that measures ok for Facebook may not work for Instagram. Try it out; it's easy and efficient. The ability to manage multiple platforms is very important. With Zoho Social, it is much easier and intuitive than other applications out there. The benefits of this is I spend more time with clients and less time trying to figure things out. "Easy to Get Started & Use"
I've considered several tools before switching over to Zoho Social. Some of them being Hootsuite, Sprout Social, and Social Pilot among others. Sprout Social comes close in terms of usability and ease of use overall, but does fall flat when it comes to an expense comparison. Zoho Social does just as well, if not more when it comes to offering what is required, is less expensive, and smart on reporting. However, it takes the cake with Instagram Direct Publishing, which lets me cover the most suited time regardless of the time zone. As good as Zoho Social is, I do find that its ability to detect the best times to post falls flat. Also, the some what incomplete feature exists only on Facebook and Twitter. It leaves us to our own devices when through the use of LinkedIn and Twitter, which are the two other channels I happen to use through my social media coverage. We've tried zohosocial for the last two weeks and absolutely love the software. It makes managing social media easy. It has cut my management time by nearly 80%. Fantastic software. I've tried competitive software and Zoho makes it easy and the cost benefits are clear. The pricing for the software seems competitive and even better than some of the other competitive brands. I will definitely be recommending ZoHo to my company for roll out. My only complaint is that Pinterest is on the list of Social Media Sites to manage. And that's nitpicking. This manages the major Social Media Platforms and does it exceptionally well. The cost benefits are immediate when you consider the time savings. The time saving by using ZoHo is enormous. It allows me to schedule posts around the clock without working around the clock. What used to take a team working daily to schedule social media posts can now be handled by 1 person in a fraction of the time. "It has been and continue to be great using Zoho Social"
I love the ability to make one post on many social platforms at once. I love the reporting, monitoring and messages section of the software. Wish I could download it as an app on my windows 10. I don't like not being able to post on instagram without the app... I understand why it is so but I really wish it was not. I think that's something for Instagram to work out.. So nothing really. Nothing I dislike. Get stated today. It will save you time and money. It is my "One Stop Shop" when it comes to my social media. User friendly and very effective! Get on board now. Through the use of Zoho Social, I have been able to solve inactivity on any of my businesses social pages whether I use to forget to post, or am too busy to do so. With Zoho Social, it's a one stop shop. With Zoho Social, I can keep in contact with persons from all the social media sites. I can respond to messages without ever having to sign in on them. * We monitor all Zoho Social reviews to prevent fraudulent reviews and keep review quality high. We do not post reviews by company employees or direct competitors. Validated reviews require the user to submit a screenshot of the product containing their user ID, in order to verify a user is an actual user of the product. Hi there! Are you looking to implement a solution like Zoho Social?